Pure Art Deco! 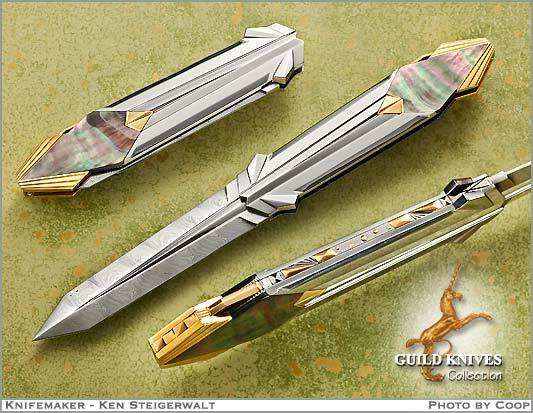 Ken studies art books on the Art Deco style of the twenties and renders knives in an exemplary manner depicting the various Deco elements, combining them in a symphony of the 1920s style. 14K gold appointments and artful gold inlays in the backspine. Look at the lines of the carved Damasteel blade and note its 20s skyscraper design. There is not a CURVE in this knife â€” only straight lines.